On 29 November 2001 Salai Tun Than, PhD (Wisconsin), appeared in front of Rangoon Town Hall, Burma (Myanmar) in his academic gown. There he began handing out a personal petition calling for multi-party elections within one year under an interim civilian government. His petition urged the military government to kill him if unwilling to meet his demands as "it is better to die than live under the military regime". Within minutes he was taken away by members of the security forces. 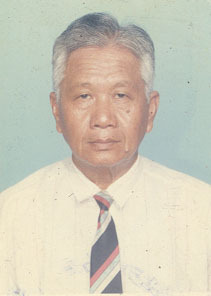 He was detained in Insein Prison until being released in May 2003. Although released, his case is illustrative of the deeply distressing human rights conditions in Burma. AHRC will continue to use this site, therefore, to highlight relevant issues and news.